Fourth of July: The Ongoing Firework Project. Fourth of July fireworks are always wham-bam woo-hoos for me — yes, I’m obsessed with the festivities for our nation’s birthday. Don’t ask. As a little girl I remember them being the most exciting thing ever, whether we were setting off small Chinese pop-up houses in our driveway (you could do that back then) or heading to an organized display (although, my mom claims that I screamed my head off for an hour straight when they took me to a show when I was about four years old). For as long as I can remember, every season of my life, fireworks had some kind of excited expectation attached to them. Fireworks meant fun family parties. Fireworks meant big performances (I used to sing the National Anthem at events). Fireworks meant wild beach excursions as a 20-something (my girlfriends will back this up). 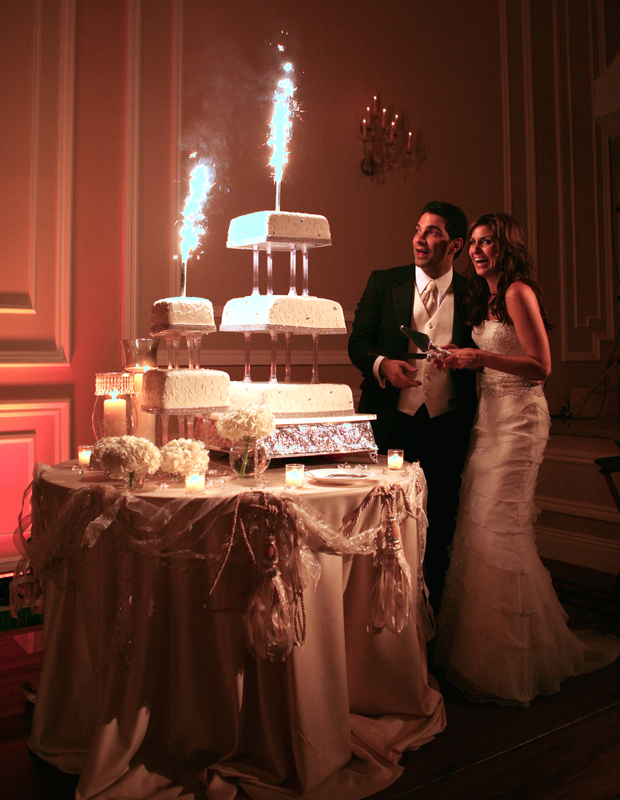 Fireworks meant romantic occasions (I even had sparklers on my wedding cake). The only other holiday I’d get as amped up about was New Year’s Eve, and that was because of the champagne. (Maybe my true obsession is loud popping sounds? Hmm.) Fireworks meant that my life was moving, shaking and pop-pop-popping. Since becoming a parent, skipping certain fireworks on account of my babies has become frequent (that’s both a figurative and literal statement… my babies were too scared to attend actual fireworks shows before the age of 2). Three years ago, when I was one baby in and unknowingly pregnant with my second, I made a knee-jerk promise to myself on the 4th of July that I can’t seem to shake. Like clockwork, I think about it every year when July hits. It looms in on me. It gets my mind racing and scheming. I semi-dread and love it at the same time. That promise is proving to save my life. Ok, saying that it’s ‘saving’ my life is a bit dramatic… but that’s the only way I can identify it. Anyone remember that article about Cameron Diaz and her smokin’ body, explaining to Esquire Magazine the reason why she never wanted to have children? (Something along the lines of, because she can’t fathom being completely responsible for other people besides herself, and how she’s happy with her choice? I interviewed Cam a few times back in my heyday… I genuinely liked her: she was cool, fun, a straight-shooter…) Had I read this interview before I became a mom, I’d have agreed. Now that I’ve read this interview post-motherhood, I STILL AGREE. I get her perspective because it’s TRUE. Proof that Cameron doesn’t want to loosen the grip of her own ‘pop,’ I guess. Related: Fab Tip: Just STOP. Having kids – by definition – strips your independence. Those who think or say it doesn’t are lying to themselves and everyone else. This is not news. Would I trade it? ABSOLUTELY NOT. I’ve finally accepted I’m no longer the independent woman I was before my little people barged in. It’s all good. 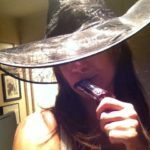 Being the same person I was and being the kind of mom I want to be simultaneously is nearly impossible for me to pull off (I’ve tried it… it’s not pretty and no one is happy). You can only hold so many sparklers in your hand at one time before one of them burns your finger off. 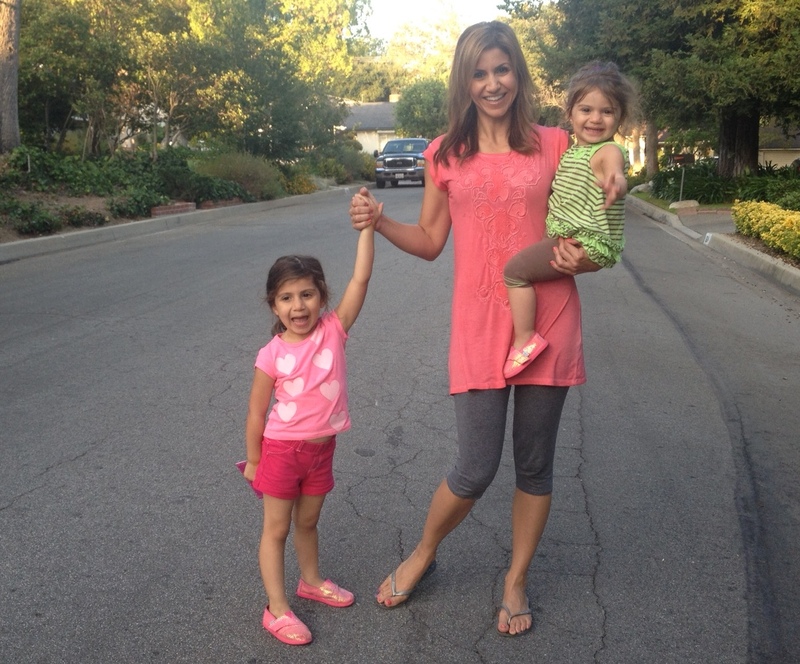 And yes, my kids are the brightest light in my life… but in the most non-independent way there is. These people are part of me and I am part of them. Period. Done. Finito. No changing that (thank goodness). Hence (did I just write, ‘hence’?) I make it a commitment to selectively choose, make plans for and carefully coordinate between my sitter and husband for times when I can access moments of ‘independence’ so that I can simply remember and re-live the pre-baby me in short stints. I call this my ongoing Fireworks Project. It only happens because I set aside the energy to make it happen — and having the energy to even get that far is half the battle. What lights me up? Time near a pool. Working on this website. Doing a big fabulous brunch for my friends. Pursuing and brainstorming new projects in media/entertainment (and then trying to make them happen, even though it’s often like banging your head against a wall). Experimenting with new dinner creations. Helping other people. My own mom recently bullied me into promising to enroll myself either in a dance or singing class, for the sheer sake of reigniting something that was so important to me in my young life. Because if I (we) don’t make a conscious commitment to remind ourselves who we once were, that flame ain’t gonna light itself. And who wants a burnt-out mom? Not my kids. “I promise to always light my own firework…” NOW YOU SAY IT. HAPPY 4TH OF JULY! WHEE! NOW WHAT LIGHTS YOU UP, BESIDES YOUR KIDS? FOCUSED. Stop. 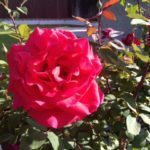 Find some roses. 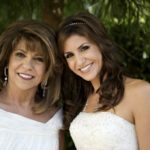 5 (semi) controversial life lessons from Mom.